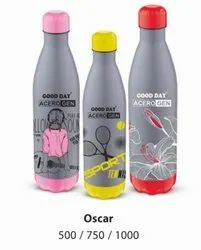 Offering you a complete choice of products which include frio plastic insulated water bottle 700 ml, speed insulated steel water bottle 900 ml, boom insulated steel water bottle 900 ml., funky frio bottle 900 ml, cool spirit 700 ml plastic water bottle and gem insulated water bottle. (900 ml). We have gathered a huge customer base in this domain by presenting a comprehensive range of Frio Plastic Insulated Water Bottle This bottle is developed using virgin plastic, insulated steel and higher technologies. Our professionals opt for strict quality tests throughout the production of the bottle to guarantee optimum performance. The provided bottle is made accessible in different capacities such as 500ml, 700ml, 900ml. Provided bottle is built for storing cool water. 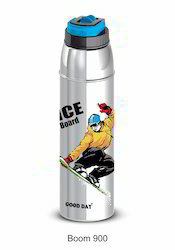 We have gathered a huge customer base in this domain by presenting a comprehensive range of Speed Insulated Steel Water Bottle. 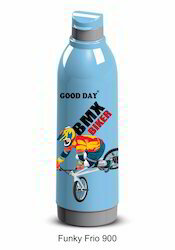 (900 ML) This bottle is developed using virgin plastic, insulated steel and higher technologies. Our professionals opt for strict quality tests throughout the production of the bottle to guarantee optimum performance. The provided bottle is made accessible in different capacities such as 900 ml, 1200 ml. Provided bottle is built for storing hot and cold both. 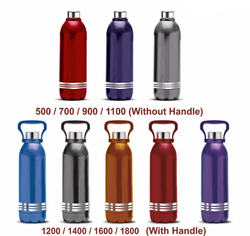 We have gathered a huge customer base in this domain by presenting a comprehensive range of Boom Insulated Steel Water Bottle 900 ml. This bottle is developed using virgin plastic, insulated steel and higher technologies. Our professionals opt for strict quality tests throughout the production of the bottle to guarantee optimum performance. The provided bottle is made accessible in different capacities such as 600ml 900ml 1200ml. Provided bottle is built for storing hot and cold both. 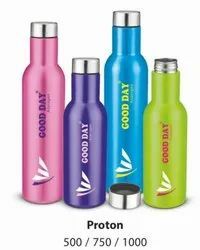 We have gathered a huge customer base in this domain by presenting a comprehensive range of FUNKY Frio Plastic Insulated Water Bottle This bottle is developed using virgin plastic, insulated steel and higher technologies. Our professionals opt for strict quality tests throughout the production of the bottle to guarantee optimum performance. The provided bottle is made accessible in different capacities such as 500ml, 700ml, 900ml. Provided bottle is built for storing cool water. We have gathered a huge customer base in this domain by presenting a comprehensive range of Cool Sprite Plastic Water Bottle This bottle is developed using virgin plastic, insulated steel and higher technologies. Our professionals opt for strict quality tests throughout the production of the bottle to guarantee optimum performance. The provided bottle is made accessible in different capacities such as 500ml, 700ml, 900ml. Provided bottle is built for storing cool water. Color Yellow, Pink , Red, Purple. 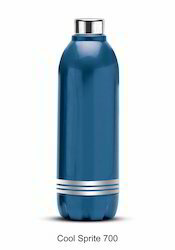 We have gathered a huge customer base in this domain by presenting a comprehensive range of Gem Plastic Insulated Water Bottle This bottle is developed using virgin plastic, insulated steel and higher technologies. Our professionals opt for strict quality tests throughout the production of the bottle to guarantee optimum performance. The provided bottle is made accessible in different capacities such as 700ml, 900ml. Provided bottle is built for storing cool water. 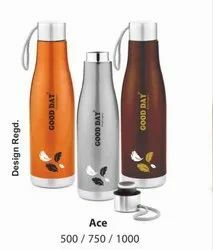 We have gathered a huge customer base in this domain by presenting a comprehensive range of Jazz steel insulated water bottle 900 ml. This bottle is developed using virgin plastic, insulated steel and higher technologies. Our professionals opt for strict quality tests throughout the production of the bottle to guarantee optimum performance. The provided bottle is made accessible in different capacities such as 600ml, 900ml, 1200ml. Provided bottle is built for storing hot & cold both. We have gathered a huge customer base in this domain by presenting a comprehensive range of Cool Sprite Plastic Water Bottle (1200 ml - with handle) This bottle is developed using virgin plastic, insulated steel and higher technologies. Our professionals opt for strict quality tests throughout the production of the bottle to guarantee optimum performance. The provided bottle is made accessible in different capacities such as 500ml, 700ml, 900ml & so on. Provided bottle is built for storing cool water. We have gathered a huge customer base in this domain by presenting a comprehensive range of Cool Sprite Plastic Water Bottle (1600 ml - with handle). This bottle is developed using virgin plastic, insulated steel and higher technologies. Our professionals opt for strict quality tests throughout the production of the bottle to guarantee optimum performance. The provided bottle is made accessible in different capacities such as 500ml, 700ml, 900ml & so on. Provided bottle is built for storing cool water. 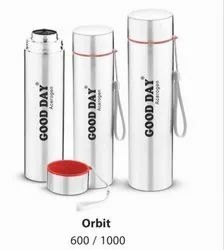 Since our commencement, our firm is engaged to introduce a premium quality array of Polar Water Bottle 900 ml (with hook). 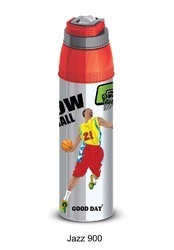 This bottle is manufactured by expert professionals utilizing quality virgin plastic materials applying latest technology. Our professionals manufactured the bottle using optimum grade materials along with adhering to industry standards. Furthermore, we ensure to opt for strict quality inspection ensuring safety and reliability in bottle. Apart from this, clients can get the bottle from us at cost effective rates. 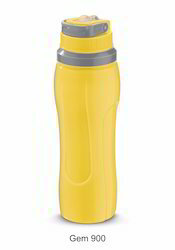 We have gathered a huge customer base in this domain by presenting a comprehensive range of Steel Mate Insulated Steel Water bottle 1200 ml (with hook). This bottle is developed using virgin plastic, insulated steel and higher technologies. Our professionals opt for strict quality tests throughout the production of the bottle to guarantee optimum performance. 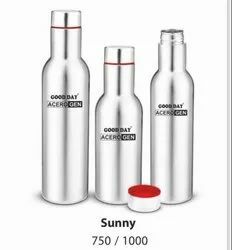 The provided bottle is made accessible in different capacities such as 600 ml, 900 ml, 1200 ml. Provided bottle is built for storing cool water. We feel proud to introduce ourselves as the leading organization in this domain, engaged in presenting an excellent grade of Tom Boy Water Bottle. The offered bottle is largely used in for carrying cool water by the users going to office, short tour or school going students. 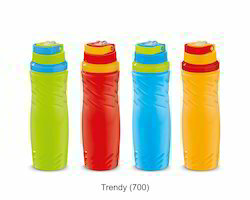 Travelers going on short journeys prefer using the bottle due to its capacity, which is 650ml, 850ml and 1100ML. Provided bottle is designed and manufactured by adroit professionals using premium grade virgin plastic with the aid of sophisticated techniques. 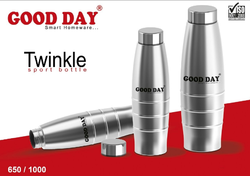 We have gathered a huge customer base in this domain by presenting a comprehensive range of twinkle steel sport water bottle 1000 ml. ( single wall). 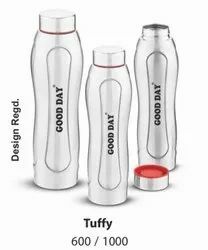 This bottle is developed using insulated steel and higher technologies. Our professionals opt for strict quality tests throughout the production of the bottle to guarantee optimum performance. The provided bottle is made accessible in different capacities such as 600ml, 1000ml. Provided bottle is built for storing cool water. Mostly used by office, co-operates. etc. Color pink, blue, and orange. 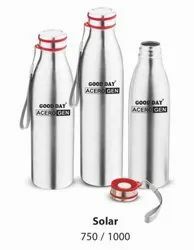 We have gathered a huge customer base in this domain by presenting a comprehensive range of Trendy Insulated water bottle. This bottle is developed using virgin plastic, insulated steel and higher technologies. Our professionals opt for strict quality tests throughout the production of the bottle to guarantee optimum performance. The provided bottle is made accessible in different capacities such as 700ml, 900ml. Provided bottle is built for storing cool water.